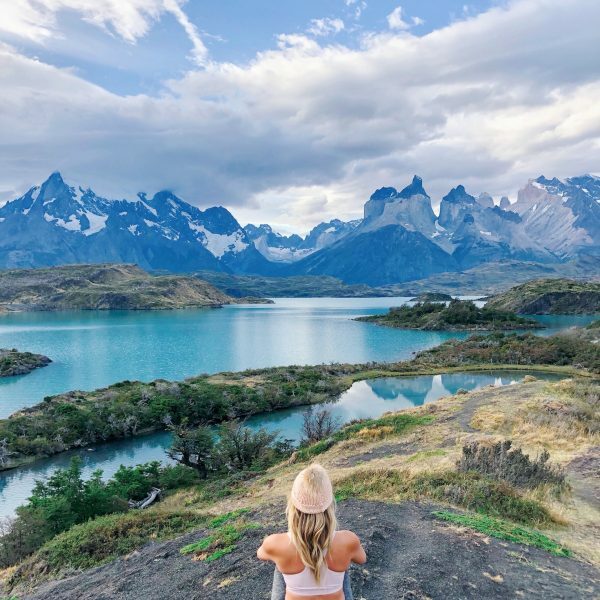 Colombia may have a reputation based on its history in the 70’s, but do not let that discourage you from paying this beautiful country a visit. 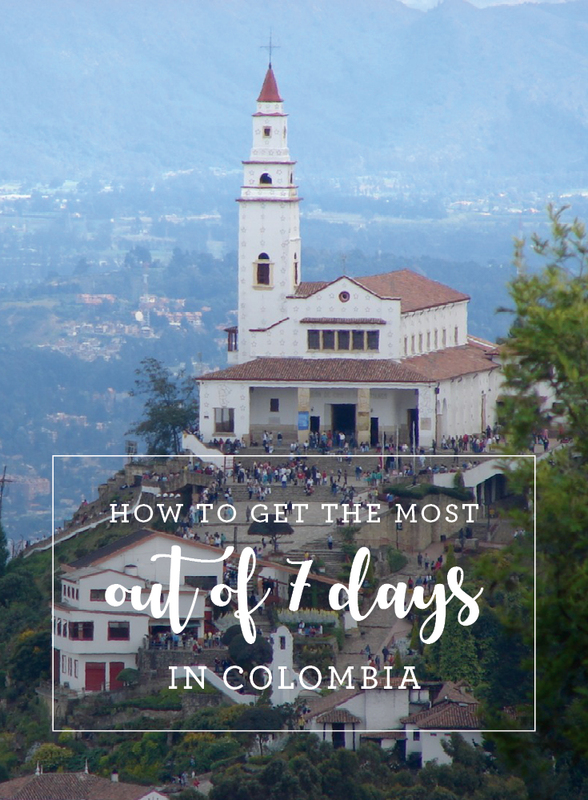 A seven-day trip is a perfect amount of time to get hooked on the coffee and Jugo de Maracuya and to get a true taste of Colombian culture. I promise it will leave you planning your next visit. The capital of Colombia, Bogotá, is a city that spoils you with so many things to see and do. My first adventure in Bogotá was Monserrate, the mountain that is visible from almost anywhere in the city. Take a taxi to Monserrate station (make sure the taxi is metered or confirm the price), where you can take the funicular up Cerro de Monseratte before noon, and a cable car after. If you are looking for lunch with a view, there are restaurants at the top where you can stop and admire panoramas over the city. Monserrate was where I first tried ajiaco, a traditional Colombian soup with chicken, three types of potatoes, a herb called guascas, and a full half of a corn ear. Topped with avocado, it is a very mildly flavorful soup. You can try this dish at most places in the city and it is a must! Not far from Monserrate is the neighborhood La Candelaria. Filled with beautifully colored buildings and street vendors selling woven bracelets and necklaces, La Candelaria is a gem in Bogotá. 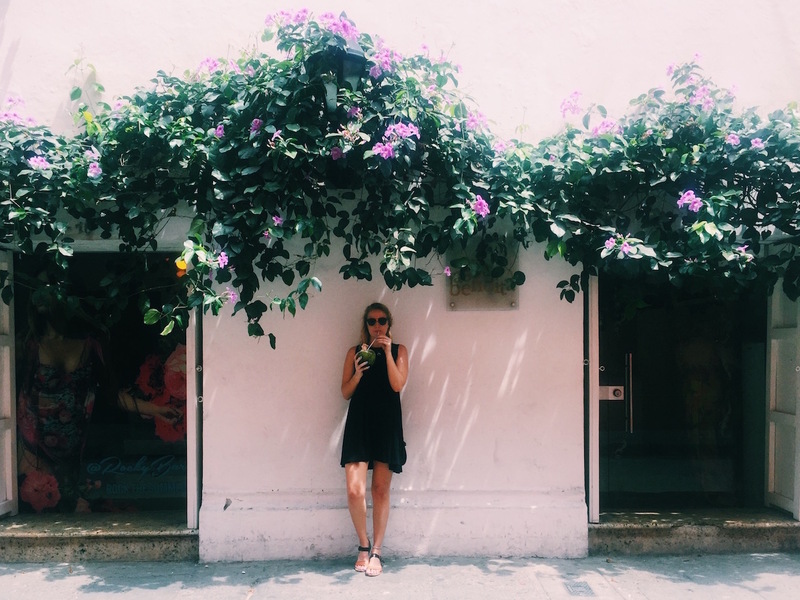 Definitely bring your camera and your pesos. You can buy beautiful woodwork furniture, woven hammocks (the splurge of my trip at only 80 pesos), and vibrant colored mochila style bags that are all over Colombia. 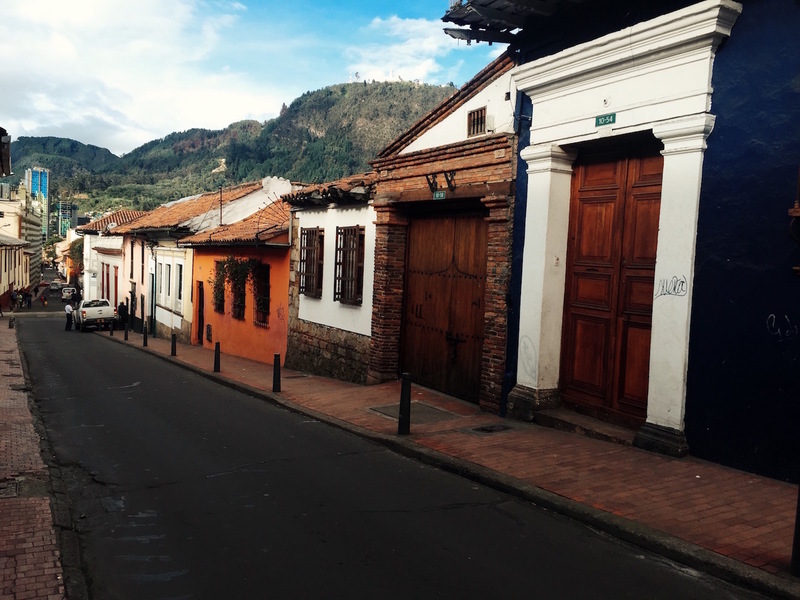 You will never regret a trip to La Candelaria even if it just for a cup of café con leche and to take in all of the liveliness of the neighbourhood. Speaking of café con leche, Colombia is incredibly famous for having some of the best coffee in the world. Order “un tinto” for a cup of black coffee or try café con leche for more of a latte flavor. If you’re not in the mood for coffee, try a glass of sweet jugo de maracuya (passion fruit juice). Actually, get both! You will never regret this decision. I ordered coffee and maracuya juice multiple times a day with absolutely no shame. Museo del Oro is another great stop in Bogotá. One of, if not the, biggest collections of gold and other alloys in the world, it is absolutely worth a visit. Each room has a different theme and everything is displayed with a Spanish and English description. 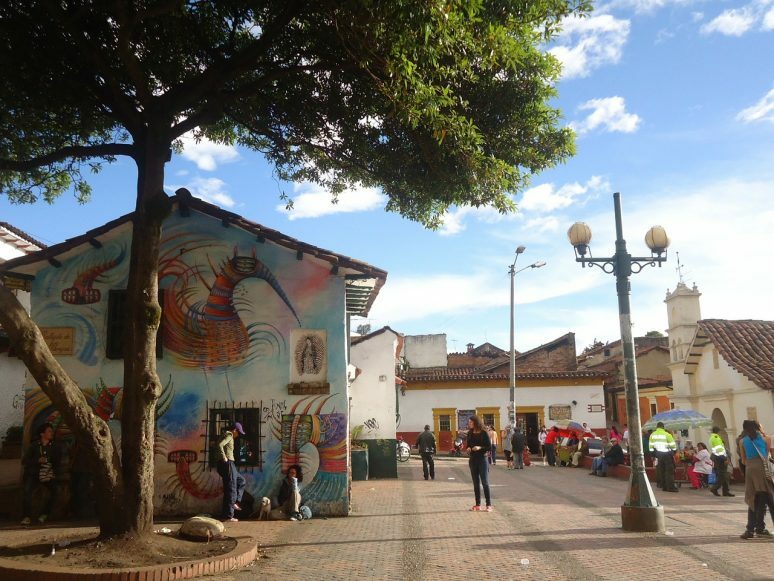 And Bogotá is also home to all different styles of street graffiti and has a famous Graffiti tour, which is a great way to see the entire city of Bogotá. It is easy and affordable to catch a flight from Bogotá to the coast of Colombia, which lead me to the walled city of Cartagena. 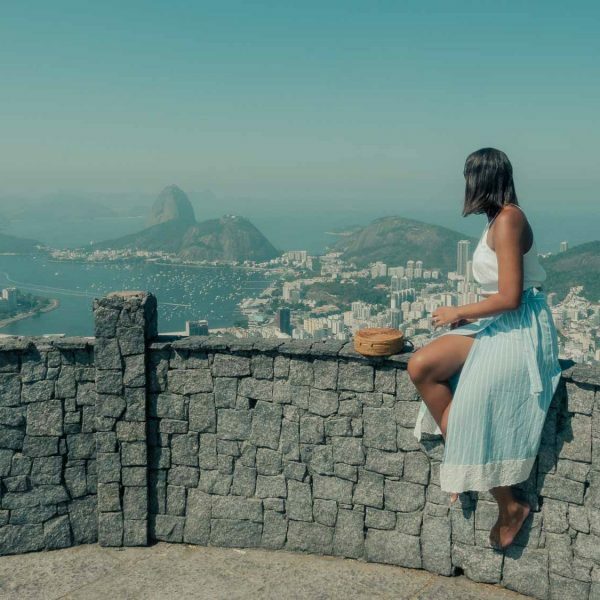 This historic city is home to beautiful colonial architecture and is surrounded by a thick wall that runs parallel to the ocean, built to keep pirates from sacking the city. Stepping off the plane from Bogotá, you will immediately feel the humidity and warmth of this city (this is a good place to note that you should bring sunscreen and bug spray and use it!). A quick cab ride from the airport will take you into the city. I stayed in the hip neighborhood of Getsemani, filled with colorful homes, some of the best restaurants and nightlife, and beautiful street art. 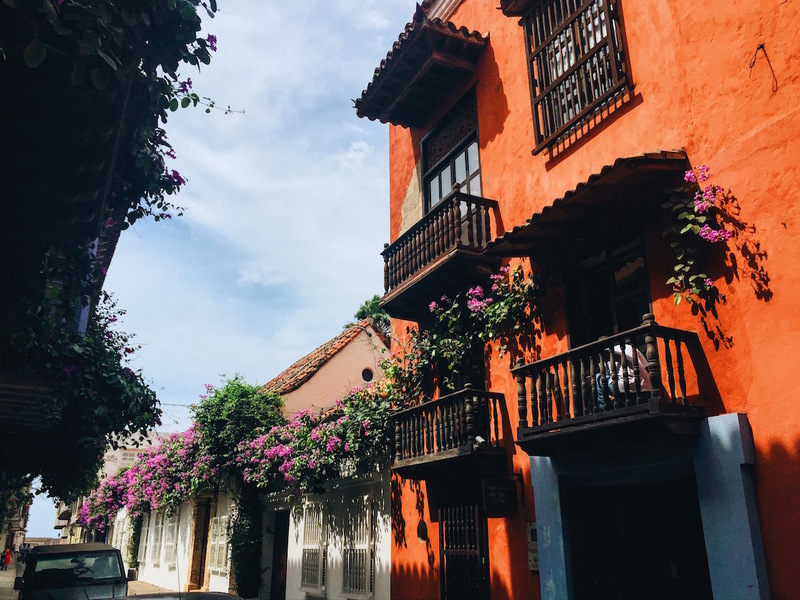 One of the most advantageous things about Cartagena is that you can walk through Getsemani into the Old Town and San Diego neighborhoods easily. Just walk towards the ocean and wander down the colorful streets. And most importantly, eat everything! You can grab a cup of freshly cut mangos, drink water out of a fresh coconut, or have an arepa for lunch! The ceviche in Cartagena is fresh and La Cevicheria in San Diego was featured on No Reservations with Anthony Bourdain. Gelato for dessert (or a midday snack) is a must! 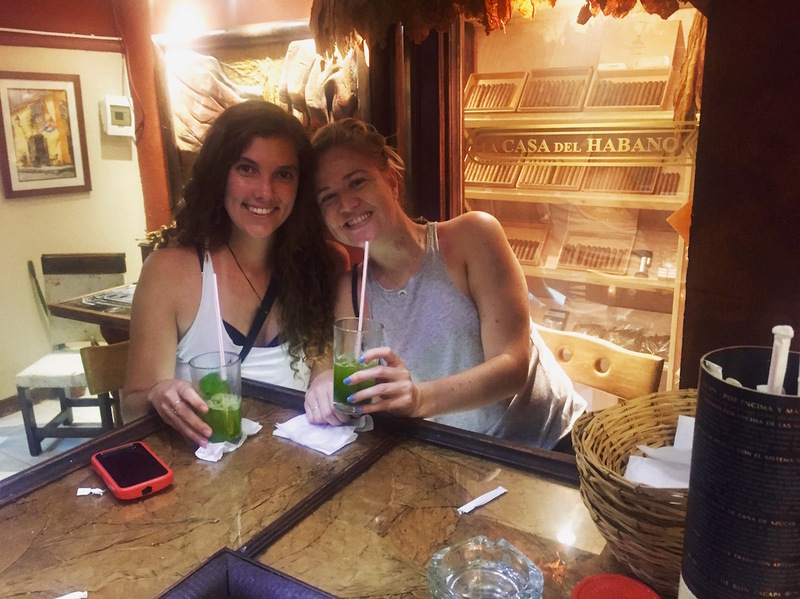 A bar owner in Getsemani swore to my friend and I that he made the best mojito on the planet, and our last night in Cartagena we gave his mojitos a try, and he was not wrong. An easy day trip from Cartagena is Playa Blanca, a picturesque white sand beach with Caribbean blue water. A day trip to Playa Blanca can be booked through your hostel or hotel and usually includes lunch (which you can opt out of and eat at one of the restaurants on the beach if you prefer). Playa Blanca can be busy with tourists and people offering you everything from massages to drinks to jet boat rides. But down the beach it is more secluded, so pick up a drink in a pineapple on the way, and enjoy your own private beach! Take cabs! Cabs are easy to catch and affordable. If they do not have a meter, let the driver know your destination and ask how much it will be. If you ask the driver ahead of time they will not be able to tell you an outrageous price when you get there. Bring pesos. I did some research and was able to find a place with a fair exchange rate before I left. I brought $300 worth of pesos and it was enough for me for the week for food, cabs, and souvenirs. (I used my credit card to book hostels). Wear bug spray. I’ve already said it, but if you are on the coast, even if you are just sitting outside having a drink, wear bug spray and don’t forget your ankles! Make conversation with locals! You will end up meeting the sweetest people who want you to enjoy their city to the fullest. The man who made the best mojito of my life was one of the kindest people I’ve met. The people you meet are the cherry on top of your trip and usually have the best recommendations of things to do in the city. Don’t be discouraged if your Spanish isn’t the best. Juan Valdez is the Colombian equivalent of Starbucks and is everywhere! They have great coffee and free wifi. Make your trip your own. There are so many options of things to do in Colombia. You can visit the Rosario Islands off the coast. 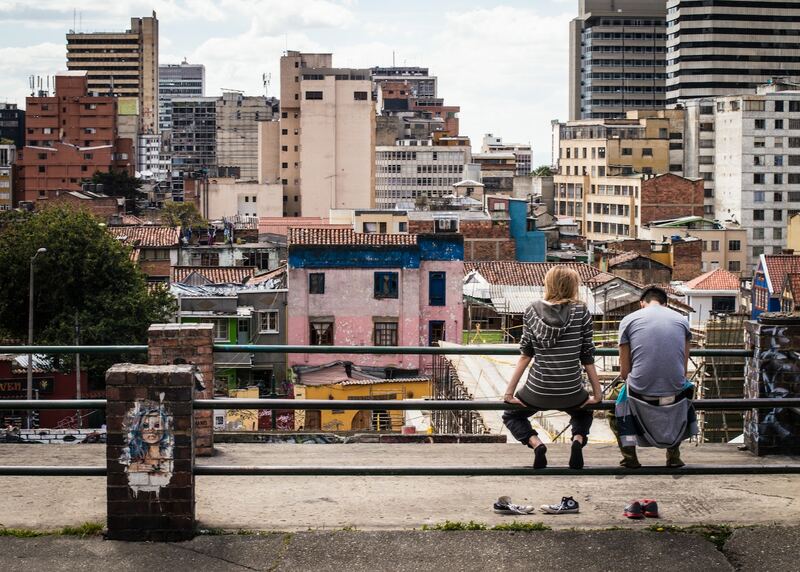 You can book a weekend in Medellín or Barranquilla (the hometown of Shakira). Do a little research before and your trip will be almost seamless. Enjoy! 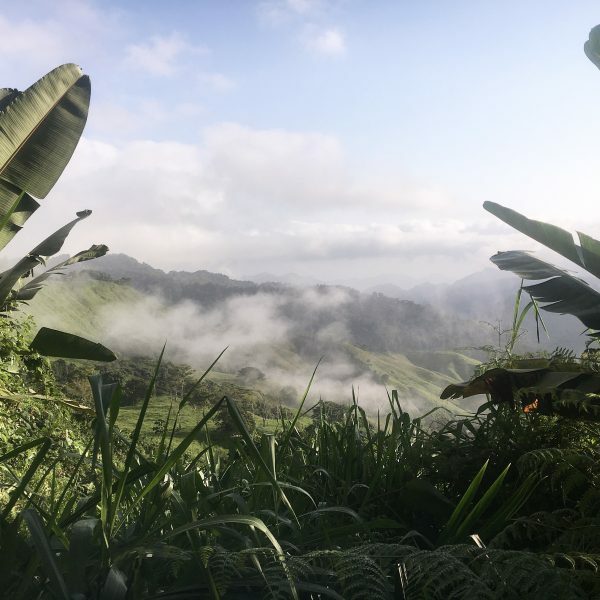 We hope that this article has inspired you to visit Colombia. If you have any questions about the destination please leave these in the comments below. Loved this, great writing and fun to read! Great job CJF! Beautiful photos! My friends and I were in Medellin and Cartagena 2 weeks ago and had a blast. Cartagena was certainly my favourite city. Like you said, talk to locals. Doing this we were able to spend 2 glorious days being lead around by local wisdom!